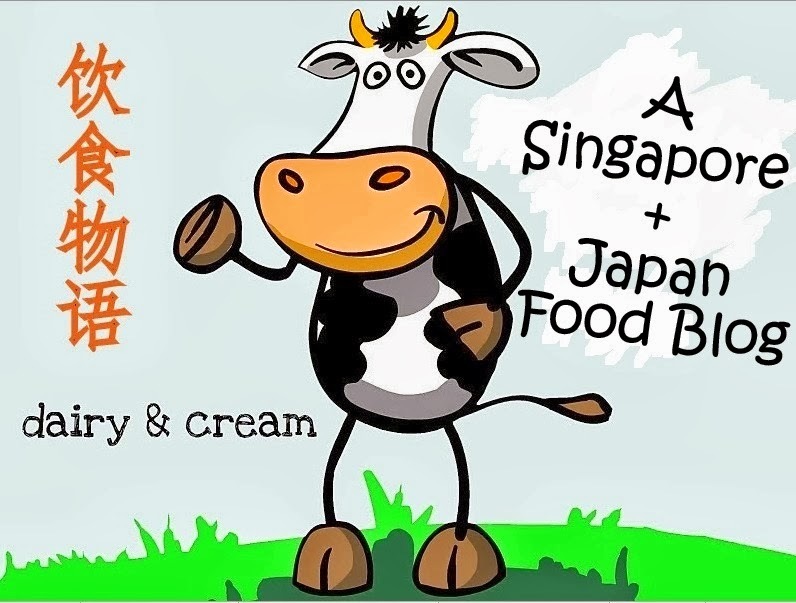 Singapore Japan Food Blog : Dairy and Cream: Slappy Cakes : Pancakes that Slap Me Awake! Pancakes for breakfast has been a long thing of the past. Now, we can not only have it anytime of the day, but create our own! Established since 2009 in America, Slappy Cakes have finally arrived here after successive outlets at Hawaii, Tokyo and Manila. On the opening night, we tried the crispy bacon, blueberries, chocolate chip, butter and banana. Other choices include: Assorted berries/ Sea Coconut/ Granola/Almonds/ Hazelnuts/ blue cheese/Brie/cheddar/bacon/ham/chopped scallions. And I loved my pancakes crispy instead of round and fluffy. So I spent a longer time cooking the batter and flattening it like roti prata (see the dark brown "spongebob" on the right). But if you are aspiring to be a professional pancake master, then the classic round pancakes (left) would impress anyone! My friend who did an amazing job with her Chocolate Chips Banana Pancakes (she's a great fan of bananas) and Maple Bacon Pancakes. We initially thought that the selling point of Slappy Cakes is the fun of MYO but it is particular about the flavours as well. Our pancakes taste delicious, which means that the recipe of the pre-mixed batter must be good. Our top 3 favourite batter were Wholegrain, Peanut Butter and Chocolate. As much as I like to recommend some delicious combination, I think it is better for you to try and make your favourite flavour. One tip: the chocolate batter is quite sweet on its own so it can do without much adornments. And with the pleasant buttery aroma of pancakes, rest assure that you won't smell like you just walked out from a barbecue house after the meal! Check out their facebook page for latest updates!